Can a Ketogenic Diet Help Fight Cancer? This article was originally published by our friends at Authority Nutrition. Cancer is the second leading cause of death in the United States (1). Researchers estimate that 595,690 Americans will die from cancer in 2016. That means about 1,600 deaths per day, on average (1). Cancer is most commonly treated with a combination of surgery, chemotherapy and radiation. Many different diet strategies have been studied, but none have been particularly effective. Interestingly, there is some early research suggesting that a very low-carb ketogenic diet may help (2, 3, 4). Important note: You should never, ever delay or avoid conventional medical treatment of cancer in favour of an alternative treatment like the ketogenic diet. You should discuss all treatment options with your doctor. The ketogenic diet is a very low-carb, high-fat diet that shares many similarities with Atkins and other low-carb diets. It involves drastically reducing your intake of carbs and replacing them with fat. This change leads to the metabolic state called ketosis. After several days, fat becomes your body’s primary energy source. 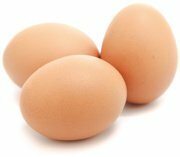 This causes a significant increase in the levels of compounds called ketones in your blood (5). In general, a ketogenic diet used for weight loss is about 60-75% of calories as fat, with 15-30% of calories from protein and 5-10% of calories from carbs. However, when a ketogenic diet is being used therapeutically to treat cancer, the fat content may be significantly higher (up to 90% of calories) and the protein content lower (6). Bottom Line: The ketogenic diet is a very low-carb, high-fat diet. For cancer treatment, fat intake may be as high as 90% of total calorie intake. Many cancer therapies are designed to target the biological differences between cancer cells and normal cells. Nearly all cancer cells share one common trait: they feed off carbs or blood sugar in order to grow and multiply (2, 3, 7). When you eat a ketogenic diet, some of the standard metabolic processes are altered and your blood sugar levels go way down (2, 3). Basically, this is claimed to “starve” the cancer cells of fuel. As in all living cells, the long-term effect of this “starvation” may be that the cancer cells will grow more slowly, decrease in size or possibly even die. It seems possible that a ketogenic diet could help reduce the progression of cancer because it causes a rapid decrease in blood sugar levels (2, 3, 4). Bottom Line: A ketogenic diet can lower blood sugar levels. This may help reduce tumor growth and even starve cancer cells of energy. There are several other mechanisms that may explain how a ketogenic diet can aid in cancer treatment. Firstly, eliminating carbs can quickly lower calorie intake, reducing the energy available to the cells in your body. In turn, this may slow down tumor growth and the cancer’s progression. Insulin is an anabolic hormone. That means when it’s present, it makes cells grow, including cancerous ones. Therefore lower insulin may slow tumor growth (8, 9). Cancer cells cannot use ketones as fuel. Research shows that ketones may reduce tumor size and growth (10). Bottom Line: Beyond lowering blood sugar, the ketogenic diets may also help treat cancer via other mechanisms. These include lowering calories, reducing insulin and increasing ketones. Researchers have studied the ketogenic diet as an alternative cancer therapy for more than 50 years. Until recently, most of these studies were done in animals. A large number of these animal studies have shown a ketogenic diet can reduce tumor growth and improve survival rates (11, 12, 13, 14). 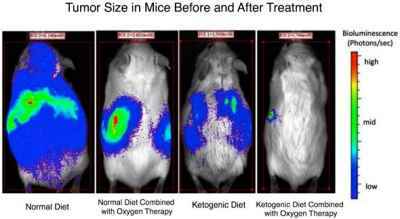 One 22-day study in mice looked at the differences between the cancer-fighting effects of ketogenic and other diets (11). Strikingly, the researchers found that 60% of mice on a ketogenic diet survived. This increased to 100% in mice that got a ketone supplement in addition to the ketogenic diet. None survived on a regular diet (11). Compared to a standard diet, a ketogenic diet increased survival time by 56%. This number increased to 78% when combined with oxygen therapy (12). Bottom Line: In animals, the ketogenic diet seems to be a promising alternative treatment for cancer. Despite the promising evidence in animals, research in humans is only just emerging. At present, the limited research does seem to show that a ketogenic diet may reduce tumor size and rate of progression in certain cancers. One of the few documented case studies was performed on a 65-year-old woman with brain cancer. Following surgery, she received a ketogenic diet. During this time, the tumor’s progression slowed. However, 10 weeks after returning to a normal diet, she experienced a significant increase in tumor growth (15). Similar case reports examined the reactions to a ketogenic diet in two girls who were undergoing treatment for advanced brain cancer (16). Researchers found that glucose uptake was decreased in the tumors of both patients. One of the girls reported improved quality of life and remained on the diet for 12 months. During that time her disease showed no further progression (16). One quality-of-life study investigated the effects of a ketogenic diet in 16 patients with advanced cancer. Several people dropped out of the study because they did not enjoy the diet or due to personal reasons, and two patients died early. Out of the 16, five remained on the ketogenic diet for the entire 3-month study period. They reported improved emotional well-being and reduced insomnia, without any negative side effects caused by the diet (17). 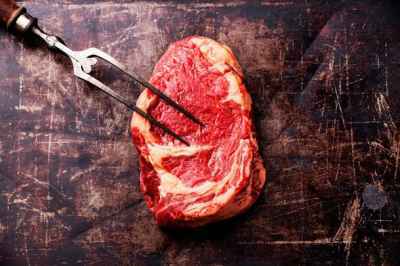 Although the ketogenic diet showed benefits for quality of life, the relatively low compliance rate indicates that it may be hard to get people to stick to the diet. One study monitored tumor growth in response to a high-carb versus a ketogenic diet in 27 patients with cancer of the digestive tract. Tumor growth increased by 32.2% in patients who received the high-carb diet but actually decreased by 24.3% in the patients on the ketogenic diet. However, the difference was not statistically significant (18). In another study, three out of five patients on a ketogenic diet combined with radiation or chemotherapy experienced complete remission. Interestingly, the other two participants found the disease progressed after they stopped the ketogenic diet (19). Bottom Line: A few small studies and case reports in humans suggest that a ketogenic diet may help slow the progression of cancer. However, a lot more research is needed. Could a Ketogenic Diet Help Prevent Cancer? 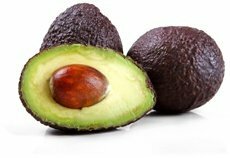 There are also some mechanisms that suggest a ketogenic diet may help prevent the development of cancer in the first place. Primarily, it may reduce several of the main risk factors for cancer. Insulin-like growth factor 1 (IGF-1) is a hormone that is important for cell development. It also reduces programmed cell death. This hormone may play a role in the development and progression of cancer (20). The ketogenic diet is thought to reduce IGF-1 levels, thereby decreasing the direct effects insulin has on cell growth. This may reduce tumor growth and cancer risk over the long term (21, 22). 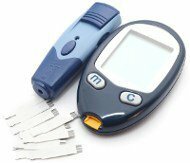 Other evidence suggests that people with elevated blood sugar levels and diabetes have an increased risk of developing cancer (23). Research shows that a ketogenic diet can be very effective at lowering blood sugar levels and managing diabetes (24). Obesity is also a risk factor for cancer (25). Since a ketogenic diet is a powerful weight loss tool, it may also help reduce the risk of cancer by fighting obesity (26). Bottom Line: The ketogenic diet reduces IGF-1 levels, blood sugar levels, diabetes and obesity. These factors may lead to a reduced risk of developing cancer in the first place. A ketogenic diet provides many benefits for health. 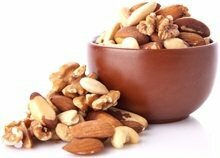 According to animal studies and some early research in humans, it may also help treat or prevent cancer. However, it is important to keep in mind that the current research is still weak. You should never, ever avoid conventional cancer treatment in favor of an alternative treatment like the ketogenic diet. Your best bet is still to follow the advice of your doctor and oncologist. Mainstream medical treatments are very effective at treating many common types of cancer. That being said, perhaps a ketogenic diet could be a good choice as an “adjuvant therapy” – meaning that it is used in addition to the conventional treatments. Most importantly, the ketogenic diet seems to produce no significant side effects when combined with conventional cancer treatments. Therefore, there is probably nothing to lose by trying it if you are interested. Just make sure to consult with your doctor first.